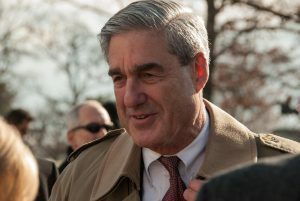 Expect more drama surrounding the release of the much-anticipated Mueller report. House Intelligence Committee Chairman Adam Schiff, told ABC’s George Stephanopoulos on “This Week” on Sunday that his committee will subpoena Mueller’s final report and even call him to testify before the committee if the report was not made public. He said he’s also prepared to go to court to get the report. “We will obviously subpoena the report. We will bring Bob Mueller in to testify before Congress. We will take it to court if necessary,” he says. 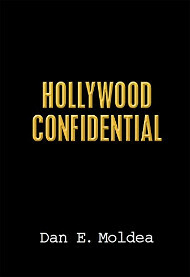 Posted: February 25th, 2019 under News Story. She writes about ranking Democrat on the House Intelligence Committee, Rep. Adam B. Schiff (Calif.), who wrote an open letter to the FBI on Wednesday, ostensibly voicing his support for the men and women who’ve been under a partisan assault from Republicans on the Hill, as well as from the president. “In reality, it was a devastating indictment of Republicans’ handling of the Russia investigation,” writes Rubin, who is considered “center-right” in her political views, but has been a regular critic of President Donald Trump. In recent weeks, the FBI has come under unprecedented and unjustified criticism. FBI agents have been slandered as “stormtroopers” for executing lawful search warrants and described as part of a corrupt “deep state” for pursuing a lawful counterintelligence investigation into Russia’s interference in our elections. The president’s allies have put forward a succession of attacks against the FBI and the intelligence agencies that responded to Russia’s interference in the 2016 elections. Each has withered under scrutiny, but they have served their purpose of casting a shadow on the origins of the counterintelligence investigation into the Trump campaign, and ultimately Special Counsel Robert Mueller’s work…. I have not always agreed with the decisions of the FBI, either as an assistant U.S. attorney or as a member of Congress, and nor would I expect to. But I have never questioned the integrity of the hard working men and women at the Bureau and for a simple reason; you have never given me cause to do so. The American people have entrusted the FBI with the tremendous task of enforcing the law, fairly and without favor. That trust has been well placed. I can assure you that the vast majority of the American people share my high regard for the FBI, and so do my colleagues, Democrats and Republicans. While I wish that more of them felt free to say so, the FBI is widely respected on the Hill for its professionalism, talent, and integrity. Despite the static that you may hear from time to time, do not for a moment believe that it is otherwise. Posted: June 1st, 2018 under News Story. President Trump’s longtime political aide Hope Hicks is scheduled to testify behind closed doors with the House Intelligence Committee that is investigating Russia’s interference in the 2016 election. 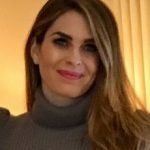 Hicks, the White House communications director who served as the spokeswoman for Trump’s campaign, is considered a key witness because of her longstanding relationship with the president and his family. 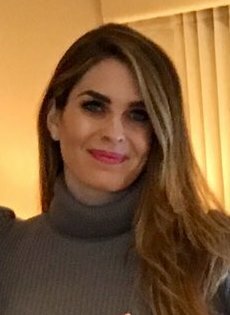 White House Communications Director Hope Hicks. It’s not yet clear when she will appear before the committee or what questions she will answer. Her scheduled appearance was first reported by CBS News. The Democrats’ top committee member said he’s hoping Hicks won’t “stonewall” the committee like other current and former White House workers who refused to answer questions. “We hope obviously that she will be fully cooperative, but at this point I don’t know what we can expect, except that we expect her to come in soon and we hope that she will fully cooperate,” Rep. Adam Schiff, D-Calif., said Monday. Posted: February 27th, 2018 under News Story. A declassified Republican memo that President Trump claimed “vindicates” him is full of “distortions and misrepresentations,” according to a Democratic rebuttal that undercuts the GOP’s core arguments. 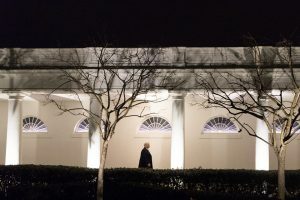 The rebuttal, released late Saturday afternoon, includes key FBI documents that contain the exact wording used by the bureau to gain authority to spy on a former Trump campaign operative. The Republican majority on the House Intelligence Committee released its memo in January, claiming the FBI misled a secret surveillance court by failing to mention the origins of a controversial dossier used as evidence to secure a warrant to surveil Carter Page, who was under investigation for being a Russian operative. Trump and some Republicans used the memo, which was partially funded by the Democrats, to bolster their claim that the FBI was on a partisan mission to destroy Trump’s candidacy. But the Democratic rebuttal, which Trump initially declined to release, offers a more detailed and nuanced explanation of the FBI’s handling of the dossier and suggests the FISA court knew Steele was an anti-Trump source. In the rebuttal, Democrats cited a key line in the bureau’s documents that state “the FBI speculates” Steele was hired to find “information that could be used to discredit Campaign #1’s (Trump’s) campaign. That contradicts the key claim by Republicans and Trump who alleged the FBI failed to mention the political nature of the dossier. “This is a pretty thorough demolition,” Julian Sanchez, an expert on surveillance at the libertarian Cato Institute, wrote on Twitter about the rebuttal memo. The rebuttal also points out that Page was under investigation long before the dossier was used to extend the warrant because the FBI feared he was a Russian operative. Posted: February 26th, 2018 under News Story. 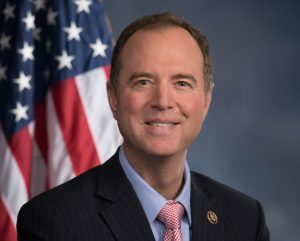 Adam Schiff, the top Democrat on the House intelligence committee, said there is “ample evidence” that the public has not yet seen to show Donald Trump’s campaign colluded with Russia and that the president obstructed justice. Schiff said the House committee has been provided with an “abundance” of classified information in closed-door meetings to indicate Trump’s campaign colluded with Russia. Schiff pointed to various meetings between Trump’s campaign and people with ties to Russia who pledged to provide “dirt” on Hillary Clinton.